There's one thing I love about indie games, they delve into the world of old school graphics and aren't defined by the stunningly realistic mainstream games that we are all used to in this modern age. 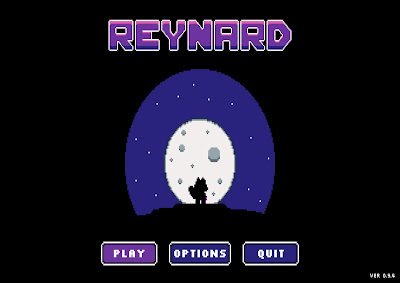 Reynard will give you a nostalgic trip back to the past with it's 32-bit game style and Legend of Zelda feel, this RPG/Dungeon Crawler isn't one to miss out on. 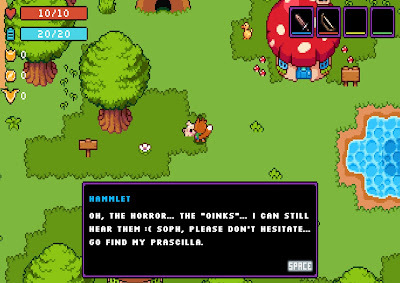 You play as a little fox and when you first start the game you're greeted by his friend Hammlet who helps you through the tutorial (he's is a pig if you haven't already noticed the pun in the name) and he helps you find the ropes with his sarcastic but lovable dialogue. After you complete the tutorial at the start, Hammlet's wife Prascilla is kidnapped and all he seemingly wants you to do is go and save her, as every time you talk to him this is all he mentions. This game is filled with little secrets from the developers of the game. A lot of RPGs do this quite subtly by using a 4th wall break, however the developers and all of the team at Hyper Fox Studios decided to do it in a simple way. They placed a book inside your characters house, that is filled with the developers names, kind of like the credits at the end of the game, but this is a charming way to do it and it's great for RPG fans who love to roam around finding easter eggs or finding hidden secrets that have nothing to do with the story. The dungeon crawler aspect of this indie title is pretty much the same as most games with a similar sort of story and mechanics. 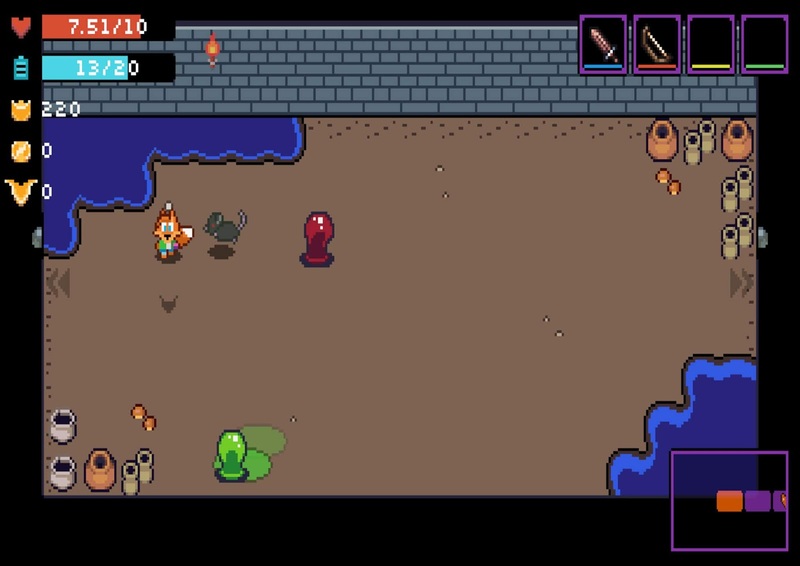 However using the keyboard to move and shoot enemies with your arrows can be quite tricky if you haven't got the timing right, as they tend to come at you quite fast and it's easy to die in the dungeon if you're not paying attention. There's plenty of things for you to destroy in the dungeon besides enemies, you can destroy pots (this reminded me of The Legend of Zelda a lot) which then reveal health items or other items you might find useful on your travels. The music in this game is almost hypnotic, it's quite relaxing which is ironic considering it's all about searching dungeons, however it still fits in with the game completely. It can get a little tedious at times when it's played on a loop but it's a great soundtrack for the game nevertheless. You really have to learn some tactics in the dungeons because sometimes when you go into the next room it can be filled with monsters and other times there's none at all (from the dungeons i've encountered in the game, it's filled with giant rats who just want to kill you). I find it funny the main character is a fox, because it's this cute little animal going off to save other animals/creatures. However, he's so distinctive in his role and you don't see very many 32 bit style dungeon crawlers with the main character being a fox, it just feels right. If you're someone who loves collecting, searching continuously, or is just a fan of RPGs then this is the game for you. 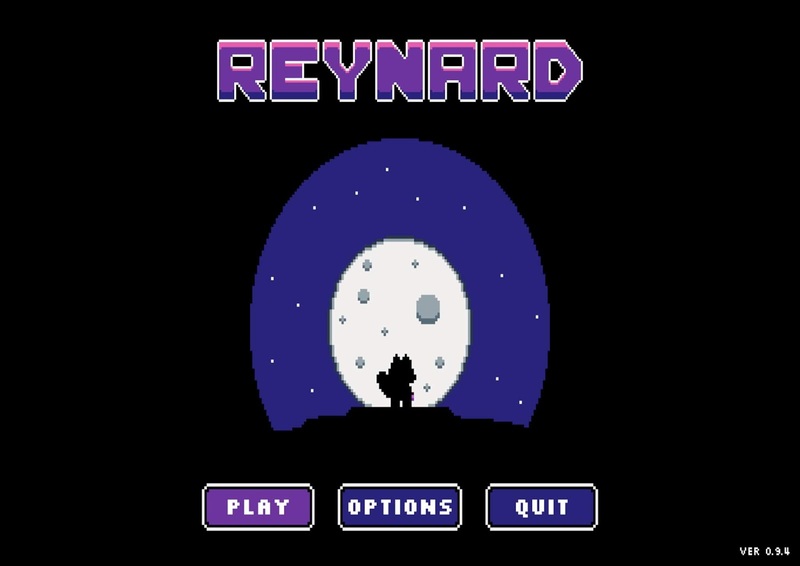 Reynard is available to buy now on Steam.